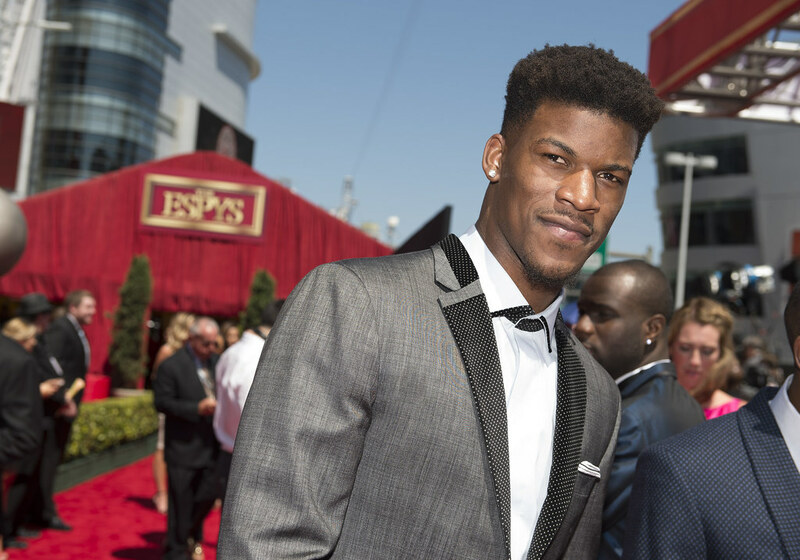 What do you do with a problem like Jimmy Butler? That’s an issue the Philadelphia 76ers will soon be forced to face and it could send the franchise one of many ways. There has been a lot of talk, mainly online, that the Sixers should let him walk in free agency. They point to the fact he’s demanding a max deal, the fact he’s heading towards the wrong side of 30, that he is often a toxic locker room presence and that his fit with this young Philly side isn’t the best. In an ideal world, Butler would take up an Andre Iguodala-style role on this team, taking a back seat while Joel Embiid and Ben Simmons shine on the court – a sort of supercharged Iggy with the ability to space the floor better thanks to Butler’s shooting. But in reality, there is no way Butler would ever be the third man on a team and is playing for that max contract vociferously. Butler still sees himself as a top-ten NBA talent with the ego of someone far beyond his present talent. But after a three year stretch with the Chicago Bulls where he shone, his decline has been there to see. Tobias Harris and Robert Covington look a far better fit for the Sixers and are comfortable to let Embiid and Simmons do their thing while playing a crucial supporting role – without throwing their toys out the pram Butler-style. Philadelphia are currently +275.00 in the latest basketball odds to win the Eastern Conference partly down to their talented roster, but expect those odds to lengthen should Butler fail to raise his game heading into the Playoffs. The only way many can see Butler still being in Philly after free agency is if he shows signs of buying into a team-first ethic. His defence has always been something to feel good about and he does proudly boast an undying will to win every game, but the latter can often come at a cost of team chemistry and rubs teammates up the wrong way. Without Butler on the payroll, the Sixers would only really have $40m committed and that would be mostly to Embiid and Simmons, leaving an awful lot of money to play with in free agency to land a third star. Accompanied by this, if Butler walks, the Sixers can fill their roster with much-needed shooting to space the floor around their two present young stars. With a roster of Embiid, Simmons, Harris, Reddick and a plethora of neat role players and sharpshooters – the sky would be the limit. At present, the Sixers are only really talked about as an Eastern Conference contender. However, should Butler leave and the roster be reconstructed, that conversation would focus on winning an actual NBA Championship. If the Sixers want to complete this almost decade long rebuild and arrive at the table of true contenders, let Butler walk and add smart, flexible signings to bolster an already talented squad.